Tired, mud-spattered soldiers leave the Somme in the fall of 1916. The reverberations of war continue long after the last shell or bullet is fired. They roll outward—like waves from a blast— through one generation to the next. This is not what he would want me to do. My grandfather would not want me lying on this damp field in France. I hear him, but I cannot get up from beneath the obligation that brought me here. Clarence Black, prior to his time in France. So for a few seconds I close my eyes and see him stretched out in the rain—caught in some barbed wire on a field that dissolves into a muddy, shell-pocked world devoid of colour—just greys and blacks. Six…seven…eight hours he was out here after being cut down by shrapnel from a German high-explosive shell. The pain from the compound fracture to his right leg is excruciating—beyond anything he has felt. He is bleeding and perspiring, and he is getting colder. It is raining on me, too. He was here in northern France, during the Battle of the Somme—a stubborn, bloodthirsty campaign that chewed up hundreds of thousands of lives between July 1 and late November 1916. On the first day alone, British casualties were an astounding 57,470 killed, wounded, and missing, including 710 Newfoundlanders serving with the 29th British Division at Beaumont Hamel. The Canadian Corps missed that horrific first day, but by Sept. 15, 2nd Canadian Division was attacking German defences near the shattered village of Courcelette. As the men advanced behind an artillery barrage, tanks—a British invention—were used for the first time in the history of warfare, but all six of the 25-tonne giants assigned to the Canadian attack broke down or got stuck. A farmer’s field on the Somme. In time, all four divisions of the Canadian Corps would be bloodied on the Somme, and it was my grandfather’s battalion—the 73rd Royal Highlanders of Canada—that was the last Canadian unit to leave after arriving with the 4th Division in mid-October. I open my eyes and feel compressed by the grey clouds that are sliding low over the landscape. I try to imagine what went through his mind—whether in fact he was even conscious after losing so much blood and being in so much pain. Did he give up or remain hopeful? Did he try to escape the awful likelihood of dying alone by thinking about home and family, or did he stay in touch with reality in order to deal with it the best way he could? I imagine the sonic crack of bullets and the ground reverberating beneath me. He did have the presence of mind and the strength to reach between the wire and wrap a tourniquet around his thigh, above the torn mess where a bone protruded through his skin. It must have occurred to him that if he did survive, he might be without a leg. 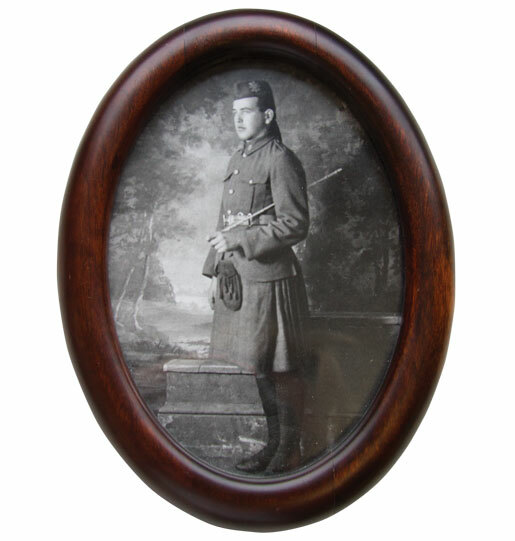 Twenty-two-year-old Private Clarence Black was unlucky, but so were a lot of men when it came to war. He understood he could bleed to death or be obliterated by the next shell or burst of machine-gun fire, but what could he do? Men get blown up. Men get shot. Men vanish and men make it back. Maybe he would be one of the lucky ones. Maybe he would get to keep his leg. For now he was just another casualty on the Somme, and while he could not predict his fate, his story would be emblematic of thousands of other soldiers and soldiers’ families transformed by war. Two days before I visit the old battlefield and picture that place in November 1916, I am comfortably seated in a French café asking myself what my grandfather would like me to include in his war story. I can see him rapping his knuckles on the table, then through a half-reassuring, half-rebellious smile tell me that it is all very good to come to northern France—to try to reconstruct his short life as a soldier—but I should also pay attention to what came before and after the blast from the German high-explosive shell. The shell-pocked landscape surrounding Regina and Kenora trenches, September 1916. He would want me to recognize the Battle of the Somme for the slaughter that it was, but he would want me to eventually go home and take a drive up past the Devil’s Elbow to one of his old haunts in the Lanark Highlands, west of Ottawa. He would want me to drive up there with his youngest son—my dad—and park in the breeze at Robertson Lake. So I decided then to follow the waves that came off that single explosion, to see how they rolled through my grandfather’s painful recovery, past the Armistice, wedding bells, the raising of four children, softball games, his trips to the camp at Lavant Station, through another world war and its casualties, and perhaps more significantly for him and his family, the awkward and painful dissolution of his marriage. Going back is difficult because there is not a lot of personal material to tap into: no written or recorded memoir, no pile of notes, postcards or stack of letters from him to peruse. There are plenty of photographs, including one showing Clarence in wrinkled pants and sleeveless undershirt that evokes his casual passion for fishing and the outdoors, but there is nothing showing him at the front or even en route to England and France. Any memories he had of the war were mostly kept inside his head or shared sparingly. The Devil’s Elbow near Lavant Station in the Lanark Highlands. Years after he died—when I knew more about the war—I ordered his military service record from Library and Archives Canada. The file, which came out of a cardboard box full of other soldiers’ files, was less than a centimetre thick, and the 97-year-old paper felt brittle. Included were quick, handwritten entries on when he enlisted, sailed overseas, arrived “in the field” or in France, the date of his wound, its cause, the amputation and his recovery through various military hospitals. I also located copies of his unit’s war diary and paid close attention to the handwritten notes tucked beside the dates for when his battalion was on the Somme. None of this provided anything specific on my grandfather or the other privates. These men were simply listed in the diary as ORs for Other Ranks. If you were an officer and you got killed or wounded, your rank and name were in the diary, but if you were an OR and you got killed or wounded, except in very rare circumstances, you were still listed as an OR. Scrambling into my basement one afternoon I located a cardboard box full of personal items left over from my days as a teenager. The object of my search was a cassette tape marked Grampa, cottage, 1970. That was the year I received a portable Phillips tape recorder for my birthday. He said it rained every day and the trenches were full of water, yet there was precious little to drink. He remembered how the sweaty, stifling gas mask restricted his view, and then suddenly he left us hanging there in the flickering light as if someone turned a switch inside his head. Canadian soldiers, some carrying picks and shovels, follow a light rail line on the Somme, September 1916. We were at our family cottage in the Gatineau Hills north of Ottawa. It was raining then too, and everyone had come inside. Grampa was sitting in a green basket chair near the front window with the lake and hills behind him. Dad faced him from across the kitchen table while Mom, who had lit a couple of candles, was by the wood stove. It was the only time I remember Grampa sharing anything about the war, and while he spoke only for a short time, I managed to capture all of it on a strand of brown magnetic tape that was as thin as tissue paper. For some 20 minutes he described the mud, the terrible stench and the threat of poison gas. He said it rained every day and the trenches were full of water, yet there was precious little to drink. He remembered how the sweaty, stifling gas mask restricted his view, and then suddenly he left us hanging there in the flickering light as if someone turned a switch inside his head. Rummaging through the box, I located the tape, but it had dried up—disintegrated. Why did I not take better care of it? Why did I not make copies? Surely there was other important information on it which is now lost forever. I could have heard the sound of his voice and been reminded of the way he spoke. Pulling my grandfather’s service file was a step toward re-establishing what he had told us that summer. The Somme’s rolling countryside today. Thankfully, there are a few inherited memories, thoughtfully shared by older members of the family, including my aunt, my mother, my father’s sister and my 80-year-old father who has bravely unravelled an important part of himself while looking at the places he occupied in the lives of his mother and father. Dad began sharing this recently, on the day-long road trip he and I took to Lavant Station, after I had returned from France. 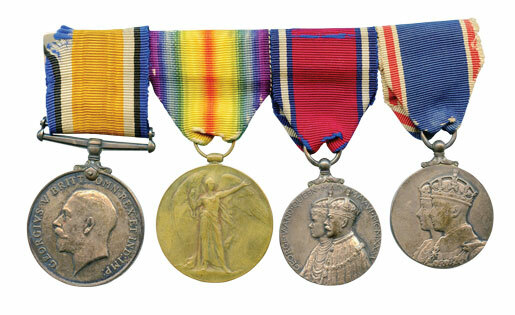 Our aim was to discover some of the small, everyday moments that spilled forward from Clarence’s survival on the Somme. But it was in the farming village of Contay, 23 kilometres northeast of Amiens, France, where an overworked, blood-smeared army surgeon amputated my grandfather’s leg, 28 centimetres below the hip. It was taken the day after he was hit by the shrapnel, stretchered out and delivered to No. 49 Casualty Clearing Station. Fewer than 400 people live in Contay, and many commute to work on the narrow highways that cross the rolling countryside. 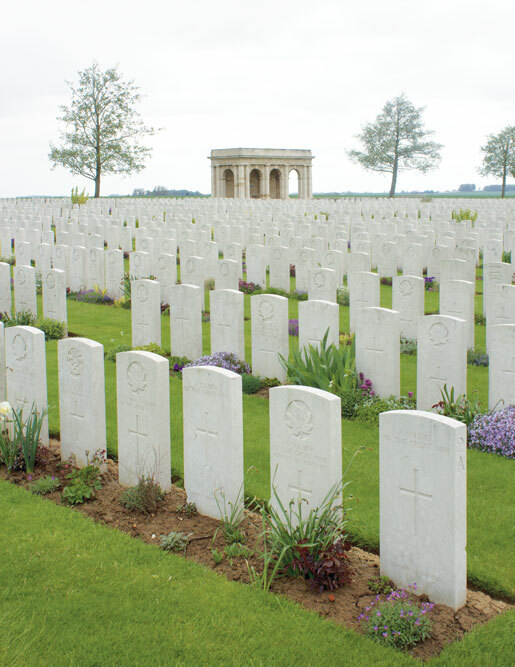 The French certainly remember the war and the one that followed, but if it were not for the grey memorials and rows of perfectly aligned white headstones, it would be possible for some people to drive from Amiens to Bapaume without a notion of the savagery that occurred a century ago. Clarence, next to one of the lakes he liked to visit. Along the street—in the direction of Contay’s war memorial—I pictured my grandfather’s face. At first it was how I remember it—round, clean and shaven with remarkably few wrinkles below bristles of white-silvery hair. I saw blue eyes on a dark complexion before the image evaporated, replaced by a sturdier, younger face, cut from a photograph taken when he was 21, a young recruit in his neatly pressed tunic and kilt. I then pictured a muddy, pale face with bloodshot eyes, staring up from a table next to a surgeon. I remembered a memoir written by John A. Hayward who served as a British army surgeon during the war. The place he toiled in included tents for patient reception, resuscitation, pre-op work, surgery, evacuation and observation. The operation tent had six tables, all kept busy during and after battle. Men came in on stretchers or as walking wounded with injury labels attached. Many of the bloodied were caked in mud and other trench slime. The wounds he saw defied description, but Hayward was amazed to find how quiet or uncomplaining the pale and wounded were. Sunlight falls among the trees near Lavant Station. Sometimes he worked 36 hours straight, handling 10 to 12 cases, but he remembered that a quicker surgeon could get through 15 to 20 in 12 hours. After one particularly bloody stretch, Hayward needed some air. He entered an outbuilding “strewn with rows of corpses.” In another building he found a heap of freshly amputated arms and legs. From that I got a clearer picture. Grampa’s leg was amputated within minutes of him being placed on that table. The bloodied limb was pushed onto a cart and then hauled away to be dumped on a pile of other limbs. So part of him stayed in France while the rest of him carried on until his final remains were buried 56 years later—two days after Remembrance Day—in a little cemetery only a few concessions away from where he grew up. That evening—after leaving Contay and settling into my quiet and comfortable hotel room in Albert—I looked at my right leg and measured 28 centimetres down from my hip. One of my clearest childhood memories is not of my grandfather, but of his artificial leg. It is still in the trousers, but not attached to him. It is propped against a bed that is supported by wooden benches at either end. This was at Lavant Station, in the hunt camp that smelled of kerosene, pipe tobacco and dried spruce. The old hunt camp today. It was midsummer—the middle of a hot, muggy night. 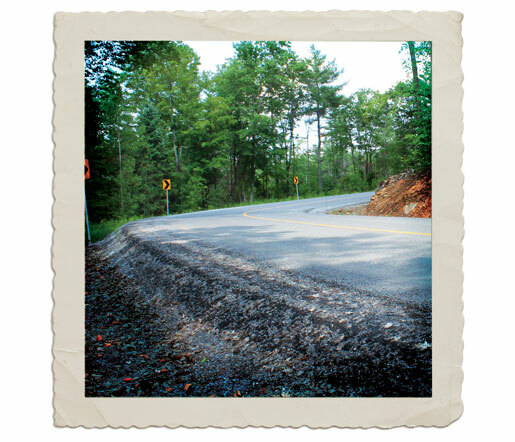 I was 10, feeling my way to the outhouse—crossing the semi-darkness between my bed and the back of the one-room camp which sat perilously close to the dirt road—so close we were prohibited from sleeping in the double bed on the camp’s northeast corner out of fear that a car could miss the curve and careen into the place. I can still see the silhouette of Grampa’s leg coming into view as I slipped between the cold metal of the kerosene stove and the foot of the bed. It was not the first time I was curious to know what it looked like beneath the trousers—what it was like to wear a leg like that; to walk up and down stairs or lift it over the gunwale of a rocking fishing boat. And if you went swimming without it in Robertson Lake, would you sink or go in circles? For Grampa, climbing a ladder was not easy nor recommended…so I volunteered the week before to tar the roof. It was late afternoon and the tarpaper burned my thighs as I straddled the peak with the can of tar between my legs. 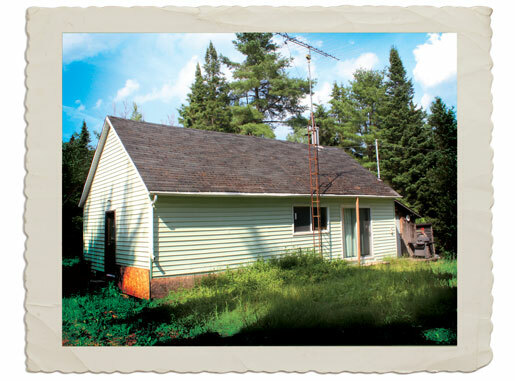 Shirtless—and with deerflies orbiting my head—I slopped it along the seams and around the base of the metal chimney—inhaling fumes that smelled of coal and gasoline. The old hunt camp as it was in the 1950s. I remember seeing Grampa down there, on the hill next to the camp with most of his weight on his good leg as opposed to his “other good leg.” Tucked under one arm was a bundle of kindling he had retrieved from the woodshed that was wedged between the back of the camp and the two-hole biffy. That is why I loved him so much. Grampa had no pretence; no time for grand beginnings or grand endings. As I passed the foot of Grampa’s bed on my journey to the outhouse, I edged closer to get a look into the top of the leg, but my view was blocked by the upper portion of his trousers. I wonder now if he was watching me. I also wonder what happened to that “other good leg.” Did it end up in storage or was it passed on to someone else? He had more than one prosthetic; each one newer than the last and fitted over a felt sock that covered his stump. The “skin” on the last one reminded my dad of the pink pliable material used to construct children’s dolls. 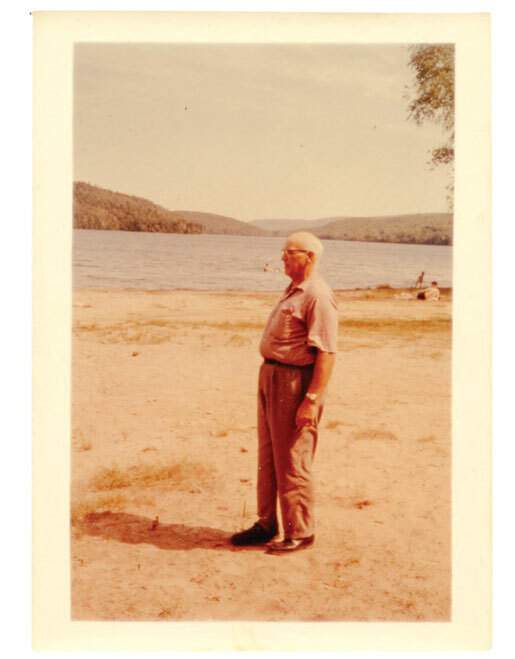 Sometimes—without much warning—my grandfather went to the camp alone because he needed a safe place to relax without the leg. It wasn’t because he was self-conscious. He just needed to take it off and use crutches for a few days to ease pressure on the stump which could get quite raw. It must have been painful at times, but he never complained or got angry. It was his dark sense of humour—most likely acquired from the war—that caught my attention. Most parents—let alone their children—would be shocked to hear such words, but to us they were a comical absurdity—something to laugh at and share. We pay a price for the things we do. We fight wars and lose lives, arms, legs and minds. More than 66,600 members of the Canadian forces died as a result of the war my grandfather saw, and close to 173,000 were wounded. Of those, 138,166 suffered non-fatal battle wounds, and more than 3,460 had a limb amputated. One soldier, Ethelbert ‘Curly’ Christian, lost four and lived a long, active life until his death in 1954. 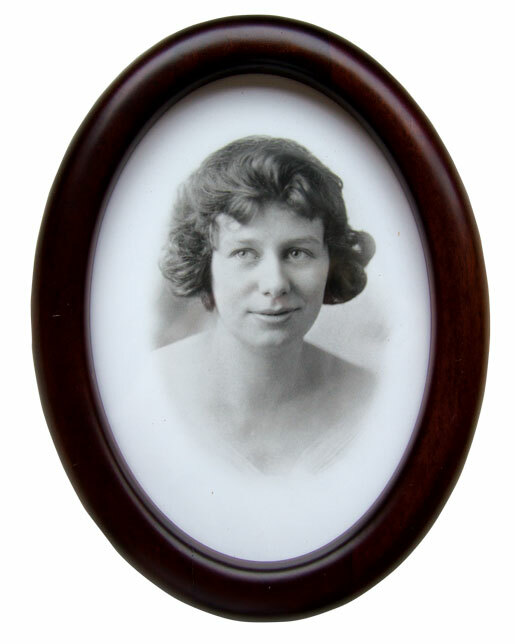 Venita Bennett married Clarence in 1919. Clarence moved to Ottawa and settled into a downtown apartment. 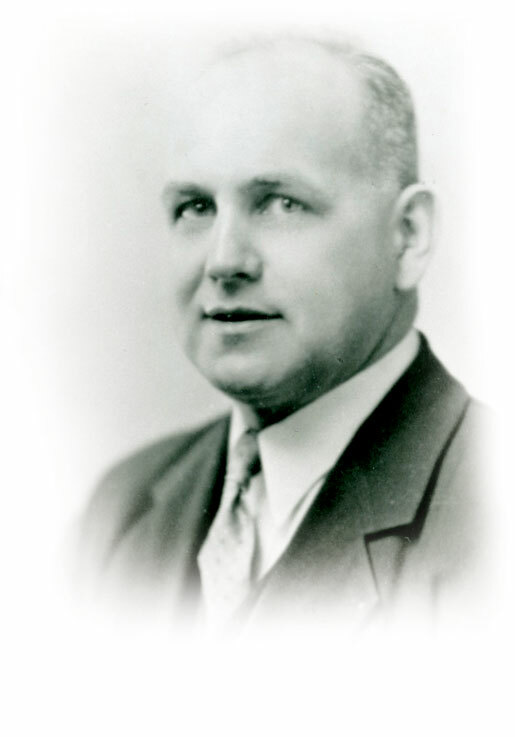 He got a job as a clerk for the Bank of Canada and on July 2, 1919, married a pretty brown-haired girl named Venita Bennett. He was 25, she was 20. They were in love and lucky to escape the deadly flu pandemic that claimed Venita’s younger brother, Foster, and millions of others worldwide. The couple eventually moved into a duplex and raised four children. Keith—the oldest—was born soon after the war. Gloria arrived in 1923, followed by Gilbert in 1929, and my dad in 1933—some thirteen years after Keith, who went on to serve in the Royal Canadian Air Force. It was a happy home with weekend picnics and fishing trips. There were visits to the Bennett farm at Uplands where my dad—standing in a cornfield—watched the yellow Harvards roar overhead as part of the British Commonwealth Air Training Plan. 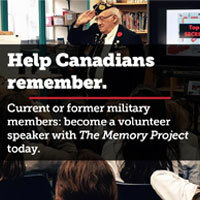 Interrupting those memories are recollections of darker moments when neighbourhood families were told that a son, a daughter or husband had been killed overseas. The hysterical screams of the woman five doors down has stuck with Dad; so has the painful silence he noticed on the face of his father’s close friend, Alfie Morrison, who also lost a son. The veteran well after the war. The years of silence, coupled with the busy life of a teenager and the way the Second World War occupied people’s thoughts, allowed few opportunities for a son to ask his father about his wartime experience. When they were together they kept the conversations light. And so Dad only caught bits and pieces, and never did find the time—even after his father’s death while compiling an extensive family tree—to look into that moment on the Somme. As I go over this history with my dad, I remember a moment that is easier to look at, but still connected to the 1916 blast that found Clarence and the blasts that hit other men. It is the annual War Amps Christmas party, held in a church basement with dozens of children—dressed in Sunday best—shyly, but impatiently waiting to sit on Santa’s knee. I remember men with artificial hands, arms, legs and feet, chatting not about the war but about their children and grandchildren. 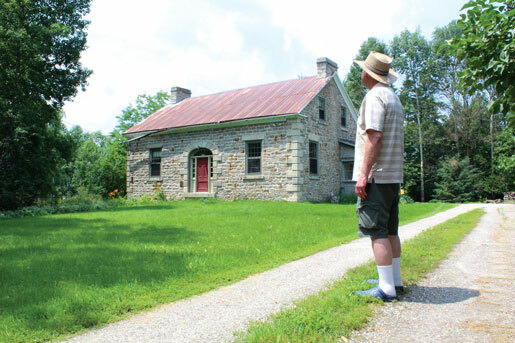 The author’s father visits the former Black homestead west of Almonte, Ont. Clarence was well liked, a steady volunteer for years. An undated, yellow newspaper clipping from the 1960s announced how he—the treasurer of the War Amps Ottawa Branch—was honoured with the Meritorious Service Award. I also remember the children squeezed for 15 minutes in front of the tiny, portable puppet theatre that stood between them and us—“us” being my younger sister Lori-Jayne and I. Mom had used the same typewriter she used to tap out the minutes of the War Amps meetings to write a script titled Zing And Zang Zong Meet The Purple-Necked, Black-Bearded Blatch. It was about two semi-annoying kids and a lovable, armless pet monster who helped turn an ill-tempered old man—Mr. Figg—into a gentler soul. Grampa was no Mr. Figg, but he knew men made angry by war. It is summer again. As promised, Dad and I are heading through the Lanark Highlands to Robertson Lake—back to Lavant Station. He is in the front passenger seat of my car, speaking into a digital voice recorder. There is so little time, but so much ground to cover. Initially I am dancing awkwardly between journalist and son. I have an excellent relationship with my dad and I do not want to ask him anything he may not want to answer, but I am anxious to know what it was like to have the father he did, a man who seemed to act as though he was somehow untouched by the blast. I also want to dig deeper and find out what it was like to have a proud, loving mother who kept her chin up and weathered the failing marriage until the time was right for her and Clarence to separate. Venita was a sweet, gentle lady who wore smart fashionable clothes and sometimes—for the fun of it—dyed her hair pink. She taught piano and violin, and made lots of time for her children and her grandchildren before she died of cancer at age 79 in 1977. 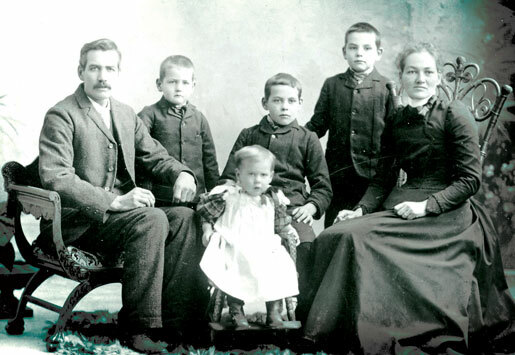 Robert and Phoebe Black and four of their children. Clarence is second from left. The road to the hunt camp is now paved and wider. More light than I remember is streaming down the hills between the evergreens and slabs of granite. Years ago I was sitting in the back of my grandfather’s blue Chevelle, anticipating the dangerous sharp left turn we called the Devil’s Elbow. It was Friday night. Grampa was driving and his second wife was sitting stoically in the front passenger seat, watching for the curve as moths hit the windshield. The car was an automatic, but Grampa was good with a standard. Dad tells me his father’s green 1936 Oldsmobile had a bar welded between the clutch and the brake, which somehow allowed him to drive a standard with his left foot. We have spent the morning revisiting our Scottish heritage while circling through the countryside northwest of Carleton Place. I need to know where my grandfather came from—even before he was born. We go looking for the old Galbraith farm where he grew up, where six boys and their parents, Robert and Phoebe, moved in with Phoebe’s parents after the Black family homestead became too crowded. The Blacks operated a farm which had been scratched together by relatives who—according to the family tree—arrived at Quebec in 1821 as part of a Scottish emigration program. A group led by Walter Black, Clarence’s great grandfather, travelled up the St. Lawrence to Brockville, then overland by foot and wagon to Perth and by boat along the Mississippi River into Ramsay Township. 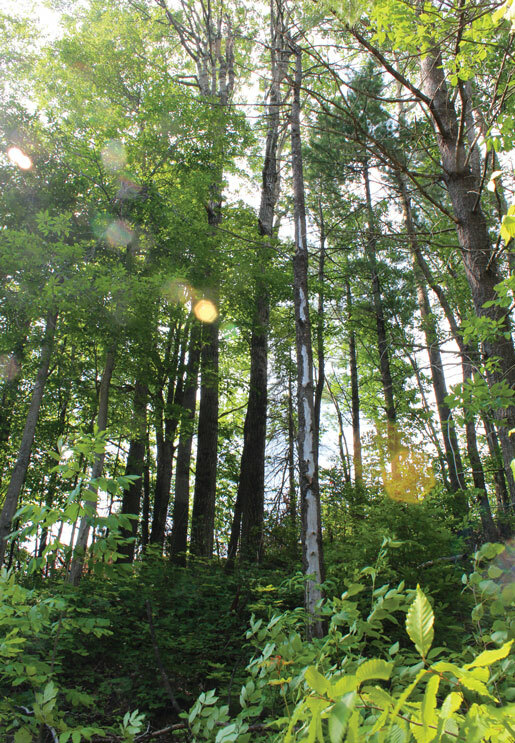 It was a tough, hardscrabble existence and once the crops were in or harvested, the men left the women and children behind to cut pines in the upper Ottawa Valley, which were used to build ships in England. As we head through Ramsay Township I picture Clarence crossing the fields, a dusty, sun-darkened boy with two strong legs, swinging a sack of fish at one of his brothers. I then see him in Montreal on Sept. 7, 1915, standing tall in civilian clothes in front a recruiting sergeant who has been busy processing dozens of young men. Hunting and fishing bring the old gang and younger lads together. I then see him the next day, standing on two strong legs in a cold room with just his boxers on, and a measuring tape around his chest. “Thirty seven inches when fully expanded,” noted the medical officer whose cursory exam ended with the declaration “Fit for overseas service” and a small notation—under the words Distinguishing Marks—that the young soldier had some brown pigmentation on the left side of his chest and groin. Nothing happens very quickly in the military, unless you are overseas and under fire. My grandfather—service number 132314—waited six months before he boarded the RMS Adriatic, a 24,500-ton passenger ship launched in 1906 as part of the White Star Line. Converted to a troopship, the Adriatic survived the war, but many of the men she carried over did not. It took her 10 days to plow through the cold, heavy Atlantic to Liverpool. Clarence headed to France on Aug. 12, 1916, before the Canadian Corps arrived on the Somme. The massive Somme offensive was launched by General Douglas Haig to relieve pressure on the French who were literally being “bled white” in the horrendous fighting at Verdun. The Somme quickly became a war of attrition—lasting five months and killing or wounding more than 1.2 million men with very little gain. The biggest territorial gains by the British and French did not stretch beyond 10 kilo-metres, yet they lost roughly 636,000 men killed and wounded. A good day of fishing at White Lake. 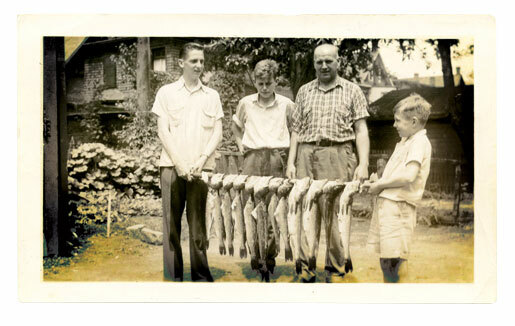 Holding up the catch in front of Clarence and his son Gilbert are Bill Morrison (left), who died when his ship was sunk on the North Atlantic during the Second World War, and Clarence’s youngest son Bobby. 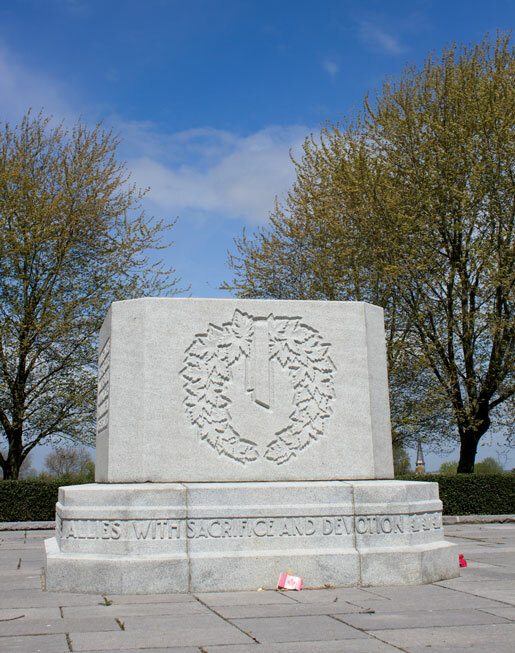 The day before I visited the old battlefield where my grandfather was wounded, I stopped at the large granite block that serves as a memorial to the Canadians who served on the Somme between early September and late November 1916. More than 24,000 were killed, wounded or captured during those three months. It was windy and cool and large shadows were sliding over the flagstone terrace surrounding the memorial. Over my right shoulder, trucks whipped by on the highway, streaming diesel fumes above the fields while they rushed produce to market. 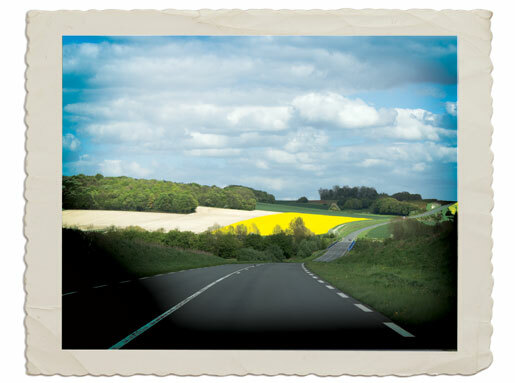 I looked north, over a field, and studied the rooftops of Courcelette, impressed by the yellow and green landscape and the way it rose behind the village and the sunken roads. I was drawn to the memory of a famous black and white aerial photo taken in the fall of 1916 of the shell-pocked battlefield. By November there were thousands of craters. I pictured that and images from Passchendaele, the 1917 battle that saw thousands of men die and disappear in the mud. 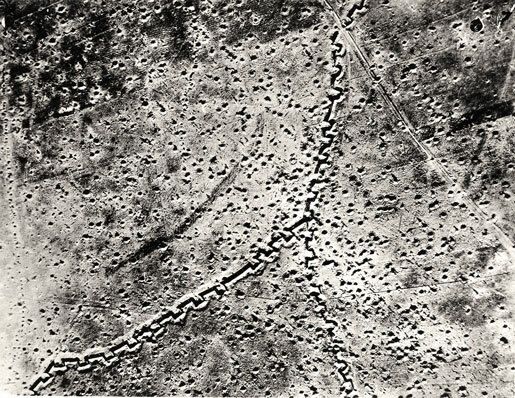 From the air above the Somme the intersecting trench lines and barbed wire looked like stitches on a monstrous corpse. There were smashed timbers, broken tanks and shattered men. The smell of decay got into men’s lungs and permeated their clothes. It is remarkable, though, how the land heals itself, or finds better purpose through the work of industrious farmers and the expertise of those employed by the Commonwealth War Graves Commission. I knelt down and placed a poppy in remembrance of my grandfather at the memorial—attaching it to a small paper Canadian flag that was flapping in the wind next to a wooden cross, most likely left there by a child. Later, while walking past a weathered church in the village of Courcelette, I noticed a small memorial, and beyond that a house with a large grey and white cat on the window sill. There was a young woman dropping off a child. I watched her get into her car and speed off along a sunken road toward the main highway, perhaps oblivious to the ground she was driving over. The cat just looked at me and yawned. 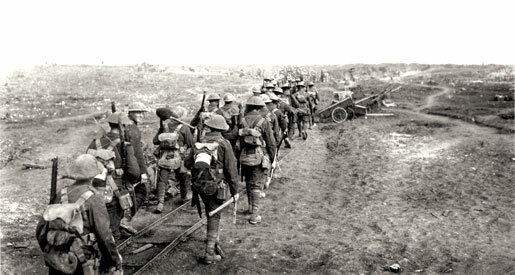 Clarence’s battalion reached the Somme in mid-October 1916. By then the Canadian advance had been halted at Regina Trench. For two weeks the 73rd Battalion lived in a wet, open encampment where large work parties left every day to repair sodden trenches. Closer to the front, other battalions from the 4th Canadian Div. were engaged in costly, unsuccessful attacks against the heavily fortified Regina Trench. On the evening of Oct. 29-30, the 73rd moved up to the front line for a five-day tour that was under constant shelling. 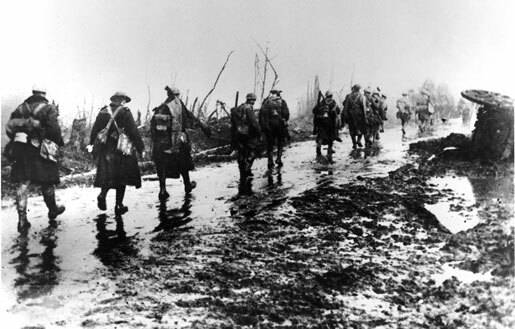 Tired and spattered with mud, the men then marched to Bouzincourt where they slept in shattered houses. While 4th Division’s 10th and 11th brigades were taking Regina Trench on Nov. 11, the 73rd, part of 12th Brigade, was moving forward again in anticipation of a counterattack. The men, including Clarence, slogged along communication trenches, waist deep in cold slime. The battalion was shelled repeatedly before it was pulled out for another short rest. On Nov. 18, amid blowing sleet, the men were issued hip waders before returning to the front line for a third and final tour which ended the day after Clarence was wounded. On the whole, my dad and I are struck by how little time Clarence spent on the Somme—only 40 days from when his battalion arrived and when he was hit. His time in the front line north of Regina Trench was even shorter—just 12 days over three separate tours. It seems like such an insignificant amount of time in a life that spanned 78 years or 28,302 days, but I now understand how quickly a man could get killed or wounded while heading to or at the front. The battalion’s last four days at Desire Trench resulted in six officers wounded and eight other ranks killed and 34 wounded. The high-explosive shell that found Clarence was nothing unusual. It exploded into thousands of red-hot fragments, moving faster than the speed of sound. Clarence’s battalion started its month-long trek north to Vimy Ridge on Nov. 29 without him and 169 others who were killed or wounded—this in spite of the fact that the 73rd had not directly participated in an actual assault on the Somme. I tell my father that there is no longer any clear, visible sign of Regina Trench, although a guidebook states that a portion of it ran at right angles to the south wall of Regina Trench Cemetery. Adanac War Cemetery north of Courcelette. That is where I went on my last day on the Somme. I walked past rows of headstones and thought about the carnage and the men who did not make it home. I did the same thing at Adanac [“Canada” spelled backwards] Cemetery and other nearby “gardens of stone.” And then in the rain I headed northeast and, before exploring Pys and Miraumont, found myself in that field, picturing my grandfather lying beside me. 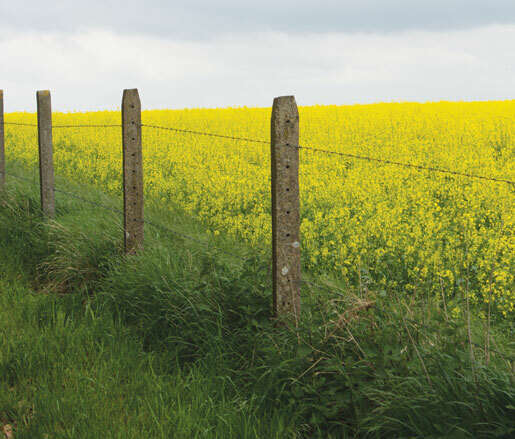 Part of me felt like I was trespassing, not on a farmer’s field but on the place where he fell. I tried to imagine how he was found. Did someone stumble into him or did they hear a cry for help? What I wanted to see were two exhausted stretcher-bearers, dodging bullets and craters. That was what I wanted to see—just like I wanted to see a hand on his shoulder or resting on his mud-streaked forehead. It bothered me that nobody in the family asked him for those details; that collectively we somehow missed an important opportunity. Someone should have asked him that at the cottage, but perhaps people were too mesmerized by the details he did share. On my way back I stopped again at Regina Trench Cemetery and afterwards explored a pile of debris, plowed up from the surrounding fields. While looking for a stick to scrape mud off my boots, I noticed bits of rusted barbed wire and fragments from three artillery shells. The largest was peeled back like a banana. I read that for every square metre of territory on the Western Front—from the English Channel to the Swiss border—a tonne of explosives fell, and one in every four bombs did not explode. The fragments I find are part of the annual “iron harvest,” pushed up every year by the frost or tractor blades. The French Department of Mine Clearance recovers roughly 900 tonnes of unexploded munitions every year, and since 1945 approximately 630 French minesweepers have died handling it. Dad remembered his father falling during deer hunting. It may have happened more than once, but he would always pick himself up—using a ski pole—and carry on. His brother Charlie was a crack shot, but it was Clarence who knew the woods, and it was being out there in the cold, fresh autumn air—with his sons and with Charlie—that mattered most. Clarence was without his youngest son in the fall of 1972. 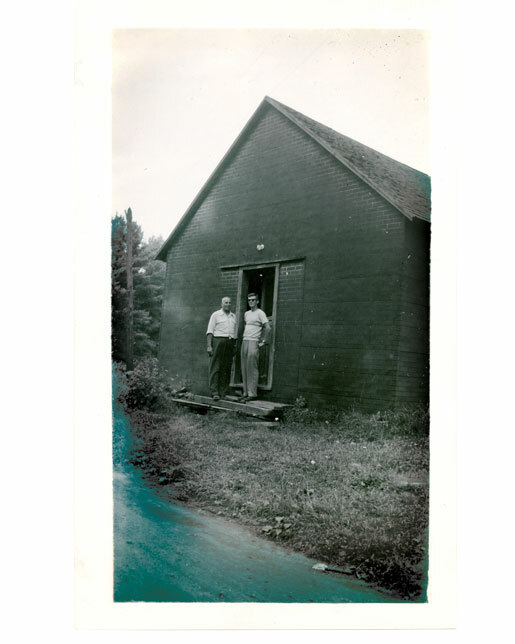 But Dad, like his older brothers Gil and Keith, knew how important the camp was to his father. It was about being chief cook and then relaxing in a haze of pipe and cigar smoke while playing penny ante. And after a full, long day there was nothing better for him to do than lie down and fall asleep with his leg against the bed. As a rule I do not spend much time contemplating fate, but if that young soldier I pictured during my visit to Contay had not survived surgery and made it home safely, so much would be different. I would not exist and so much else would not exist. He would most likely be interred in the British war cemetery just down the road from the French village, where on a gentle slope—shaded by large poplars—I discovered several names from his battalion, buried among the 414 Canadians and more than 700 British. 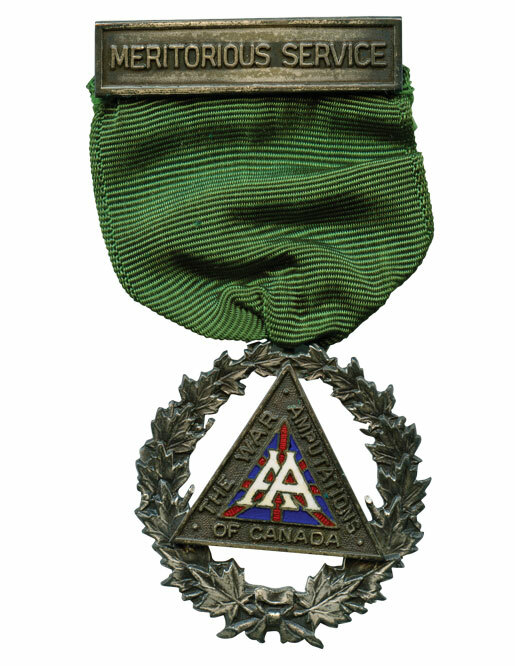 Clarence’s Meritorious Service Award from the War Amps. But young Clarence was disgorged from the Battle of the Somme—spit out minus a major limb, but alive. He would never farm again, but he would eventually recover, find work, fall in love more than once and become a husband, a father, a grandfather and a volunteer for the War Amps of Canada. And he would die in good company at his favourite place—with perhaps few regrets—on Nov. 10, 1972. I was a teenager at the time, deeply into my own little world of music, cars, football and girls. I was not expecting it, nor, I think, was anybody else because he seemed healthy—steady. We learned later—from the autopsy—that he suffered previous heart attacks, and his silence surrounding that is something I can attribute to the stoicism of his generation. 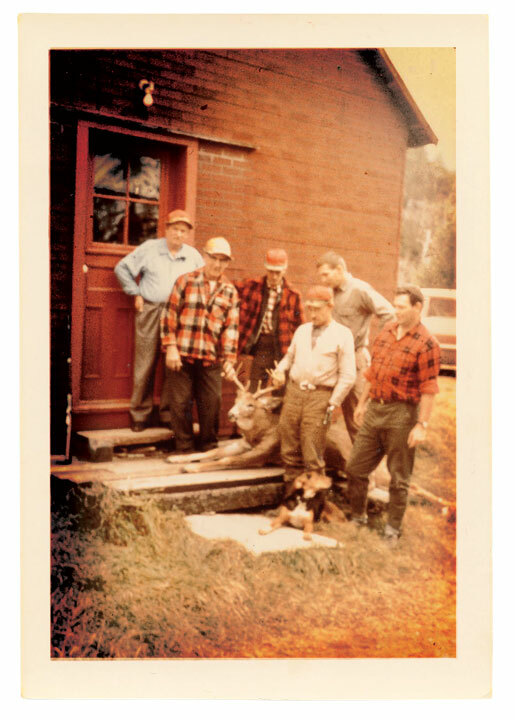 It was late at night when the phone rang and Dad, who could not join his brothers at the hunt camp that fall, got on and went silent as his older brother, Gil, told him their father was dead. He had gone to bed with what he thought was indigestion, but then he sat up and soon collapsed. When Gil and the others realized there was nothing they could do for him at the camp, they picked him up and rushed to the car. They put him in the back seat and then sped off in the cold November night down a dusty, twisty road through the highlands to the Great War Memorial Hospital in Perth, some 50 kilometres away. He was gone before he got there—and certainly well before my dad and anybody else had the chance to say goodbye. When Dad and I arrive at the old camp, which is now in somebody else’s name, we just stare at it and think of Clarence. It is warm with the hiss of crickets in the grass, broken only by the cheers of some local boys tossing horseshoes in the valley. As I zoom out to look at my grandfather’s life through the long wave of that 1916 high-explosive blast, I find myself looking again at a man in a suit behind a desk at the Bank of Canada; a mischievous boy with a sack of fish; an outdoorsman pouring maple syrup into a rye bottle. I see a soldier lying in the dark; the ghost of a man sitting in a French café, urging me to look beyond the shattering moment that changed his life. And I see my dad, who like me and others in our family, have been touched beneath that wave—and left with a sense of gratitude. Dan…thanks for sharing Grandpa’s history! !